Hello Dear Friends! 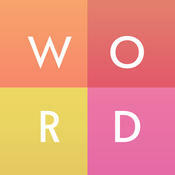 Please find below all Wordbrain Themes Word Talent Sweets and Desserts which is part of the popular game Wordbrain. This game is one of the most popular games at the moment all over the world with tens of millions of players. MAG Interactive is a known company who has also developed Ruzzle. Still stuck and cannot find a specific answer or level? Do not worry at all cause we’ve got you covered! Please use the comment section below to ask us directly and we will be more than happy to assist you right away!